Bookmark this website to easily find these instructions again. 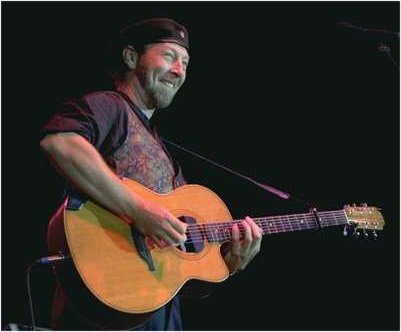 Welcome to the Richard Thompson Discussion List! Topics include all matters Thompson-related (songwriting, guitar techniques, reviews, concert info, etc.) Comments on Fairport Convention and projects that Richard has been and will be involved with are OK, too. Other subjects are welcome, but adding a [no RT] sign to the subject line in those cases is polite to those who are here for RT only. You must be a subscriber in order to post to the list. Both regular list subscribers and digest subscribers should post to this email address. Email sent to this address will automatically be scanned for viruses on the email server. This does not guarantee that posts will be virus free, and you should continue to use anti-virus software on your computer. However, most known viruses will be removed. If your email originates from a known email spam server, the anti-spam filter on the email server may trap your email, not allowing you to post. I check this periodically and will fix the problem as it arises. Let us show respectful behavior regarding other people and other people's opinions. Aggressive, personal attacks against others may result in a boot from the list without notice. Such behavior has caused the list owner to permanently bar some subscribers from posting. Sorry, but tape-trading/tree discussions are discouraged on this list. Brief requests/offers are not OK. Pushing the issue may get you booted from the list. Needless to say, commercial boots are not to be discussed. As Richard says, "... a bootleg, O the shame." Please no attachments, sound files, pictures or cc's. Your emails should be in plain text only. Most email clients have a way of doing this. Please look at what these folks have to to say at http://expita.com/nomime.html for help with removing mime from your email. AOL users, sign in to www.aol.com on your browser and then post. It's the only way for you to send in plain text if using AOL 7.0 or later. Posts which are not plain text will be bounced back to the sender, and will not be posted. If there is a non-fatal bounce (e.g. mailbox full), you will be permanently unsubscribed after 200 bounces. If there are fatal bounces, you will be unsubscribed after 10 bounces. After each bounce, you will be temporarily unsubscribed for 3 hours. This may cause you to miss some posts. If you become permanently unsubscribed, just join again using the standard subscription process after your email becomes functional. PLEASE, PLEASE, PLEASE! Don't forget to unsubscribe when you are no longer interested and/or change jobs, schools, etc. Use the address you subscribed from originally to unsubscribe. If you find yourself unable to do this, please contact me. and then when you get back you will only need to send a blank email to rt-feed@rtlist.net to restart the regular list or rt-digest@rtlist.net to restart the digest - without going through the entire subscription process. You can catch up on digests by visiting the archives on this site. This also allows you to keep your non-moderated status. The Richard Thompson discussion list owner is Willis Howard (wehoward@alphane.com). Send email to him if you have questions about the list, problems unsubscribing, etc. Please bookmark the home of the Richard Thompson Discussion List www.rtlist.net so that you can easily find these instructions again.